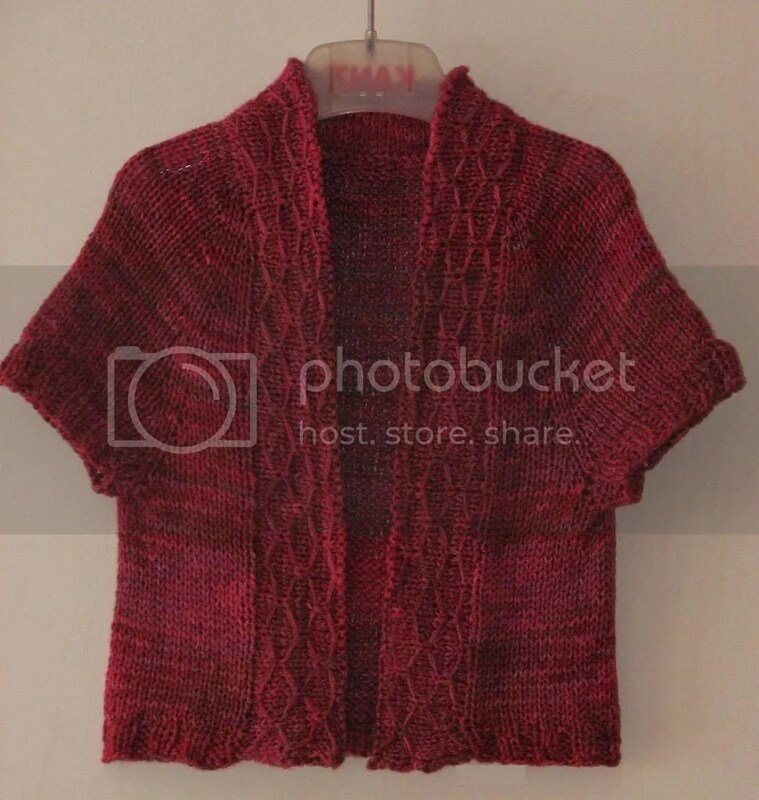 I sent out an update to Tanvi on Ravelry last week. 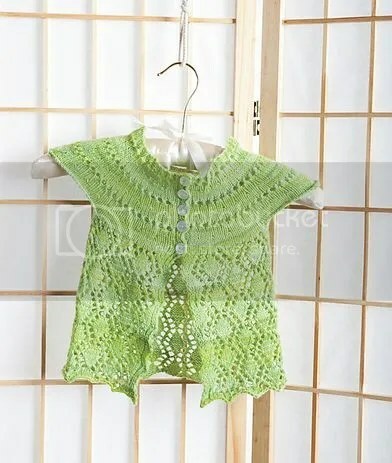 There were one error in the intro text (or the romance text as it is called) which said that the sleeves are knit after the body, while the actual pattern instructions were to bind off the sleeves when the yoke is complete. I got a question about this from a customer and I had to correct this error and send out an update. This also gave me the chance to migrate this pattern to my new template. I searched high and low for resources for creating/buying templates and finally zeroed in on this MS Publisher template. I customized it heavily to suit my needs and I like how it turned out. I have been using this for all my new patterns and I like how easy it is to change the colors with just one click. I have stopped using MS Word for pattern editing and rely heavily on Publisher now. Here is my jazzy, new template. What do you think? I am back with another giveaway. 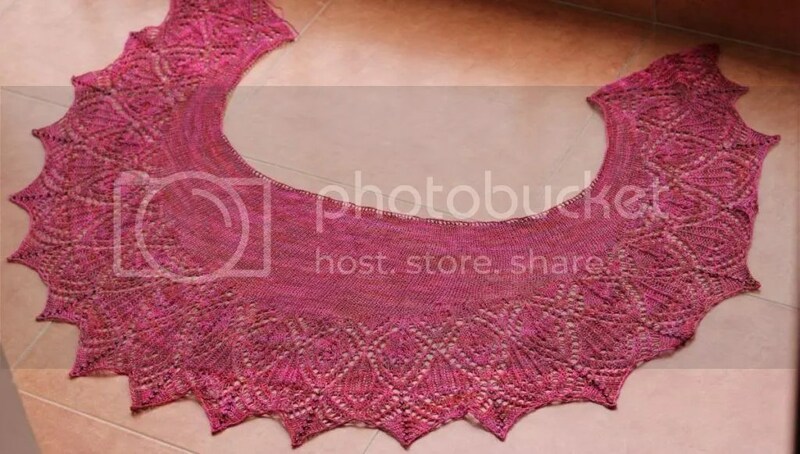 I have designed a crescent shaped lace shawl for which I don’t have a name. 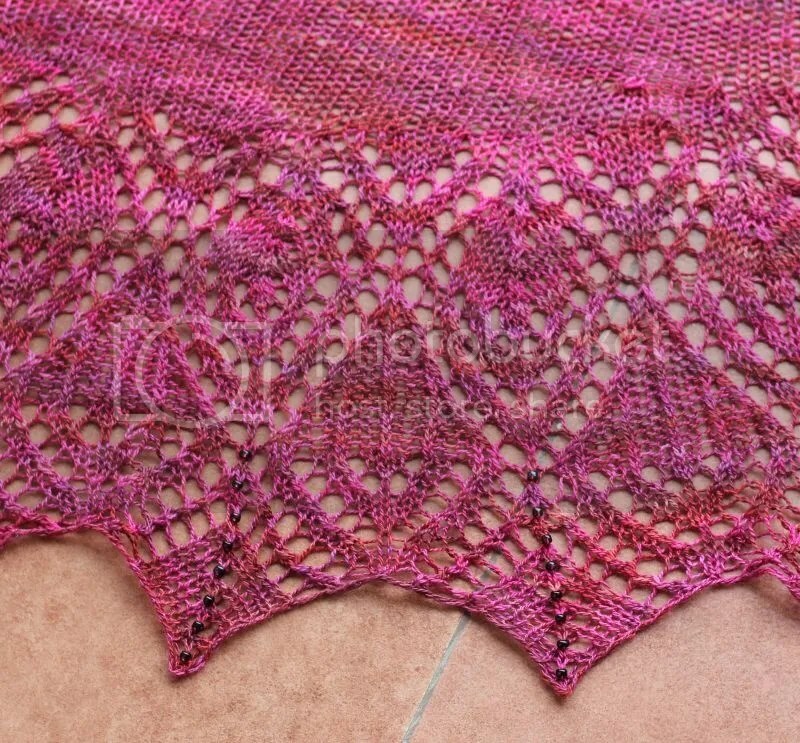 The shawl is knit bottom up and has pretty bell shaped flowers on the edge. I thought of naming it Campanula, but there are too many patterns with this name already. So, dear knitters, please help me name this pattern and you stand to win a copy of this pattern. 1. Leave a comment on this post with your suggestions. You can even tweet, if you want. I am affiknity on Twitter, so make sure you grab my attention if you decide to tweet your suggestions. 4. Contest ends on August 30 2013. Put on your thinking cap and let me know what you would name this shawl. I won some gorgeous Indigodragonfly yarn when Kim hosted a giveaway to mark her anniversary. Ever since I held that yarn in my hands, I knew I will have to make my own design out of it. I was a budding designer then and neither had the skills nor the experience to design, so this yarn was treasured for future use. The right time came a few months back and Tanvi was born. 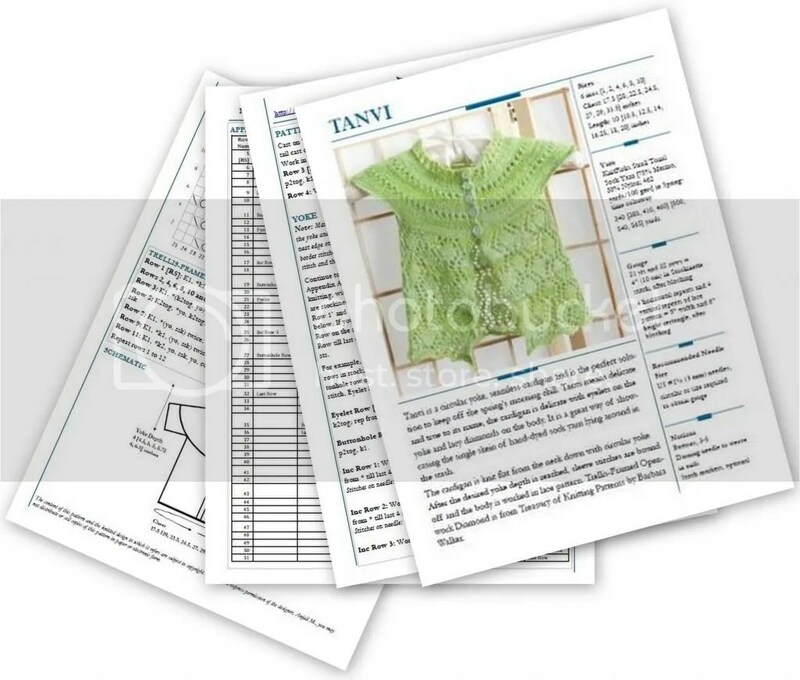 Tanvi was actually planned to be released as part of Knitcircus Summer 2012 issue, but as my luck would have it, the magazine had to close down. So, I decided to self-publish Tanvi. 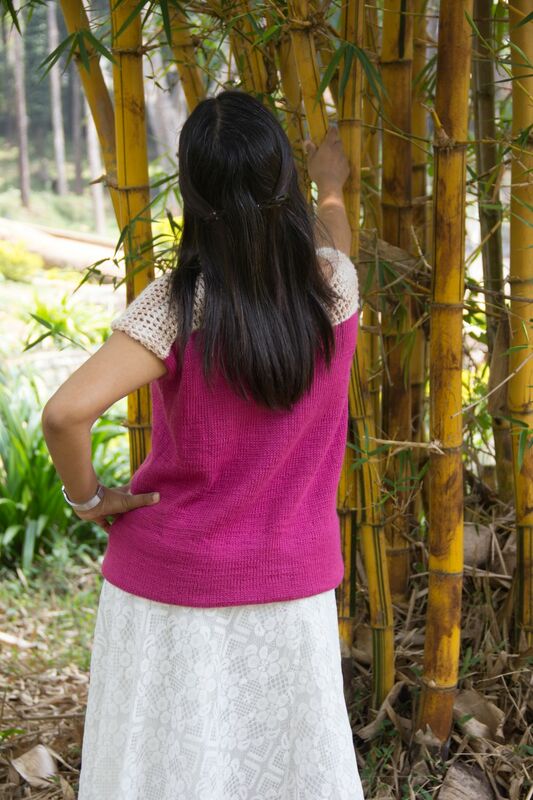 Ravelry Pattern: Tanvi by Anjali M.
Tanvi is a circular yoke, seamless cardigan and is the perfect solution to keep off the spring’s morning chill. 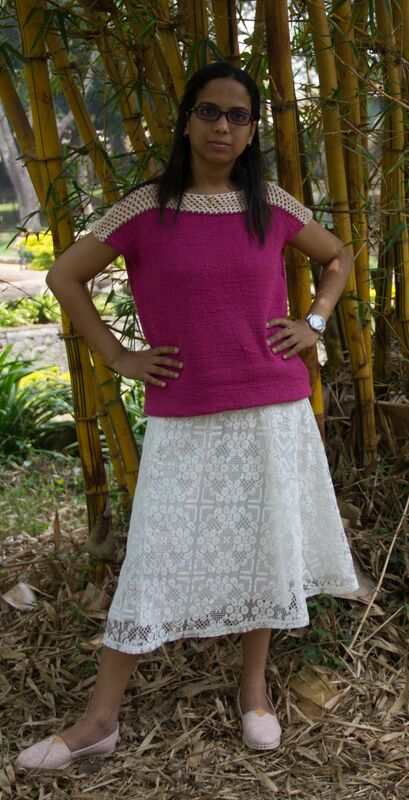 True to its name, the cardigan is delicate with eyelets on the yoke and lacy diamonds on the body. It is a great way of showcasing the single skein of hand-dyed sock yarn lying around in the stash. The cardigan is knit flat from the neck down with circular yoke. After the desired yoke depth is reached, sleeve stitches are put on holders and the body is worked. It comes in sizes 6 months to size 10. 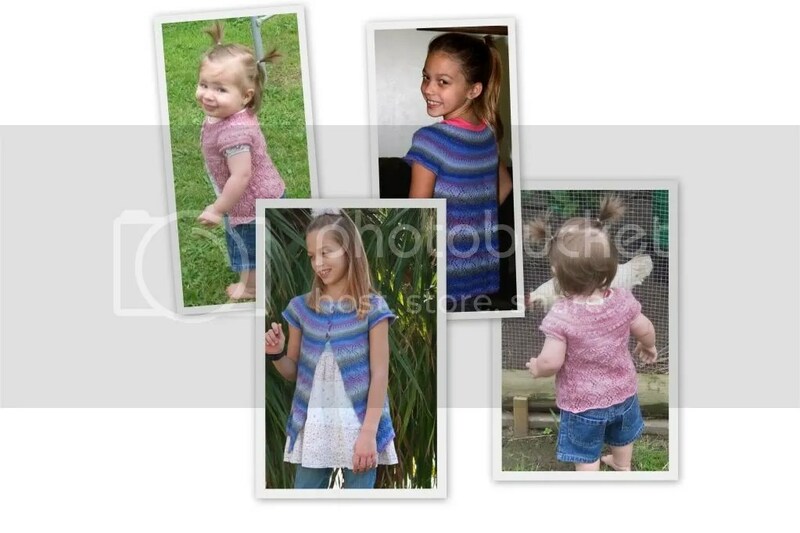 This is a great way of using up your ever growing sock yarn stash. Keep tuned as I have planned a giveaway which is coming soon.